"Poets are the hierophants of an unapprehended inspiration; the mirrors of the gigantic shadows which futurity casts upon the present; the words which express what they understand not; the trumpets which sing to battle, and feel not what they inspire; the influence which is moved not, but moves. 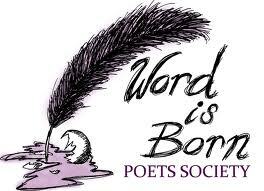 Poets are the unacknowledged legislators of the world". I'm no expert on poetry; I just know what I like, and know what does nothing for me. I go from the sublime to the ridiculous; from the weighty, deadly serious to the comical. Take for instance the 19th Century Chartist Thomas Cooper's epic poem "Purgatory of Suicides" with over 900, nine line stanzas. Then you have Spike Milligan's wonderful nonsense poem, "On the Ning, Nong, Nang". If there's one thing guaranteed to raise the hackles of many, it's lists. But lists can get us thinking; get us talking; get us arguing. Top 10 sales are a question of fact, but top 10 poems can be a matter of opinion. Here's where the debate starts. I've been looking through a number of dedicated poetry sites, where they display what in their opinion are the top 500 poems. That's too many to look at, so I concentrated on the top 5 in each list. 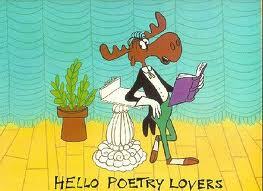 There were three poems always in the top 5. I confess to not knowing any of them, but that say's more about me, rather than about the poems. I have now corrected my deficient knowledge, and loved Phenomenal Woman, and was determined to know more about Maya Angelou. The brief biography that follows is courtesy of Poets.org. "Maya Angelou was born Marguerite Johnson in St. Louis, Missouri, on April 4, 1928. She grew up in St. Louis and Stamps, Arkansas. She is an author, poet, historian, songwriter, playwright, dancer, stage and screen producer, director, performer, singer, and civil rights activist. She is best known for her autobiographical books: All God's Children Need Traveling Shoes (1986), The Heart of a Woman (1981), Singin' and Swingin' and Gettin' Merry Like Christmas (1976), Gather Together in My Name (1974), and I Know Why the Caged Bird Sings (1969), which was nominated for the National Book Award. Among her volumes of poetry are A Brave and Startling Truth (Random House, 1995), The Complete Collected Poems of Maya Angelou (1994), Wouldn't Take Nothing for My Journey Now (1993), Now Sheba Sings the Song (1987), I Shall Not Be Moved (1990), Shaker, Why Don't You Sing? (1983), Oh Pray My Wings Are Gonna Fit Me Well (1975), and Just Give Me a Cool Drink of Water 'fore I Die (1971), which was nominated for the Pulitzer prize. The first black woman director in Hollywood, Angelou has written, produced, directed, and starred in productions for stage, film, and television. In 1971, she wrote the original screenplay and musical score for the film Georgia, Georgia, and was both author and executive producer of a five-part television miniseries "Three Way Choice." She has also written and produced several prize-winning documentaries, including "Afro-Americans in the Arts," a PBS special for which she received the Golden Eagle Award. Maya Angelou was twice nominated for a Tony award for acting: once for her Broadway debut in Look Away (1973), and again for her performance in Roots (1977)". A remarkable woman, with a remarkable output. This is her poem that tops many lists. Well there you are - top of the lists. Let the debate commence. Is this just opinion, or is there more science to it? Let me throw my hat in the ring, and yes, I know it's Dylan Thomas again, but hey, it's only opinion isn't it?